At the beginning of each season, I like to get a few new classic pieces that will refresh my wardrobe. When I am deciding what to get, it's important that the pieces work well for that season, but also have year-round potential. I also want a color and style that flatters, is timeless, versatile, and works well with my current wardrobe. Sound impossible? I promise it isn't! Recently I updated my spring wardrobe with 3 new pieces I found on Chadwicks of Boston. I got a black jersey dress, short-sleeved blush lace top, and mauve cardigan (although I almost ordered this gorgeous navy one and I might still). These pieces work well for many occasions and with their new expanded size selections, you can find perfectly fitting, affordable garments in petite, tall, or plus! I love that Chadwicks of Boston fits every body! Chadwicks of Boston is still the trusted, reliable brand you know and love, but they have modern designs and offerings now! The first time I wore the black jersey dress, I paired it with lace up flats and a moto jacket. Casual black dresses like this are staples! You can wear it with a cardigan, tights, and riding boots if the weather is chilly, wedges and a statement necklace for a get together, or as a cover up for the beach! Its versatility and quality will definitely make it a staying piece in my closet. I have a few trips coming up I plan on packing it for! 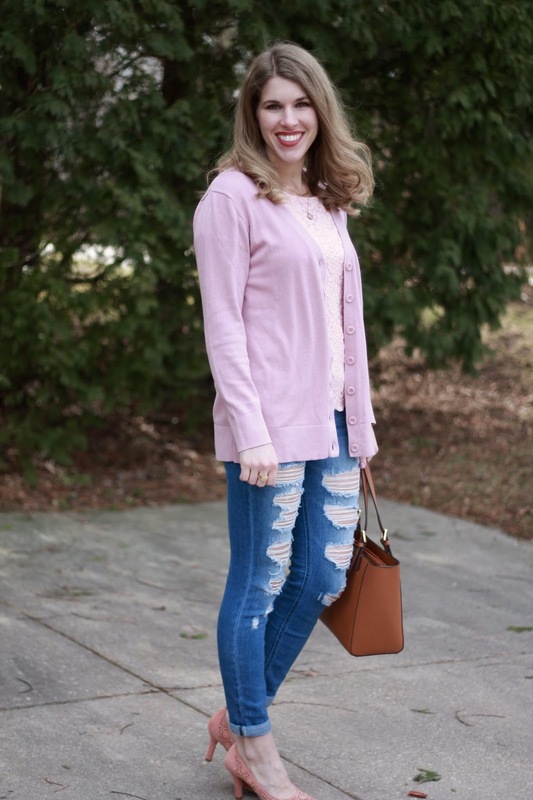 Blush and soft pink are big this season and flattering on so many skin tones so I could not resist this gorgeous blush lace top and boyfriend cardigan. I was very pleased with the quality and softness of the lace top in particular. It is completely lined and the lace isn't stiff at all. The scalloped hem also appealed to me. It's those small details that can really make a garment stand out. 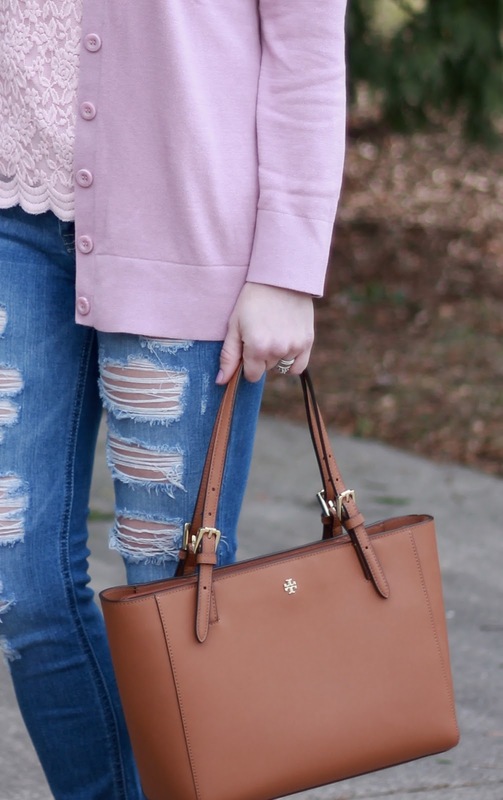 Blush can be paired with so many other colors so both the top and cardigan will be mixed and matched with many items already in my closet! I love how lace can be dressed up or down, too. I dressed it down with distressed jeans, but plan on wearing it tomorrow with a pencil skirt for work! 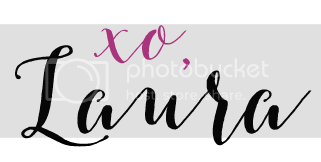 And you can get 20% off your entire order with code CH75043 until 4/31! I so love the second look, the cardi is gorgeous. Love both of these piece! That waterfall jacket is perfect with the dress. Thanks for sharing Laura! I love the second look! That lace top is so pretty! You looks so pretty with both of them dear! Very chic! Both of these outfits are great! I love the grey and black combo (year-round really), and the pink is so perfect for Spring. So pretty! Love these staples!! I am loving all the lace right now! I'm loving those bright blue lace-ups! How cute! The lace blouse is super pretty, I love the blush color you chose. And I'm sure you will be getting tons of wear from the little black dress. Such cute looks! I am all about the blush right now! I love when spring comes around to get a couple of new items too, Laura!! I really like the pinks especially---it's so nice to get out of our black & dark colors--IMO! The lace is so very pretty! And the pops of blue in the first outfit make me so happy! 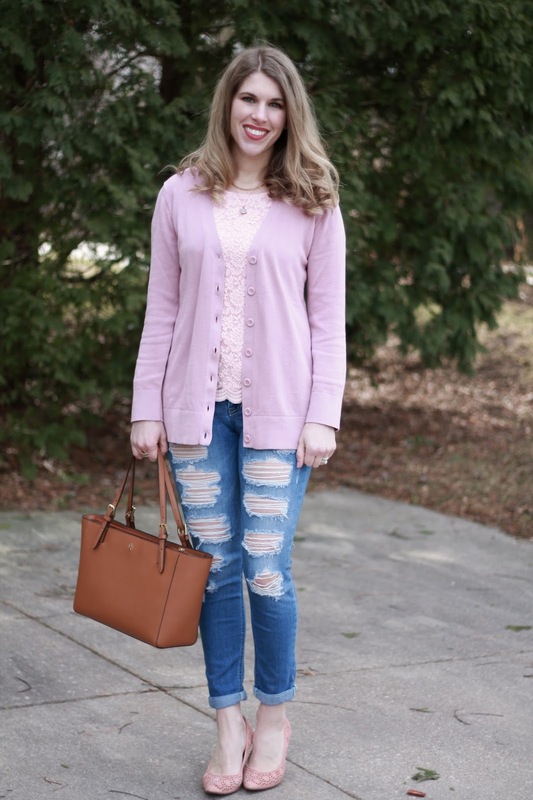 I adore the blush color on you and that cardi looks so soft and comfy! I really love both looks, I really like the black and blue colors together... but, that lace top in blush is SO cute! love both outfits!! that pink jacket is so cute!